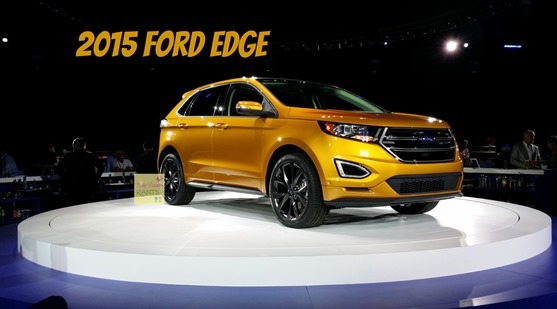 I just spent three days in Detroit, Michigan attending the Ford Trends conference. I was honored to be asked to attend and couldn’t wait to experience all that lay in store! 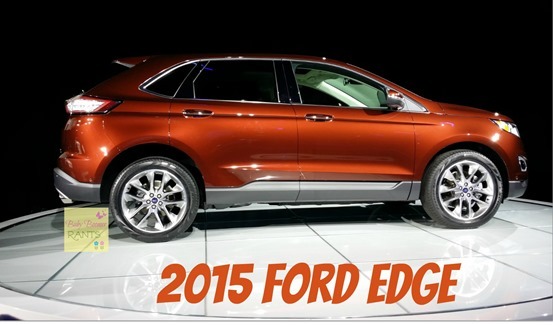 I was invited by Ford to the conference and the new 2015 Ford Edge reveal! I love the colors! It is very sporty on the outside but very roomy and comfortable on the inside. The next morning at breakfast they had ANOTHER reveal! 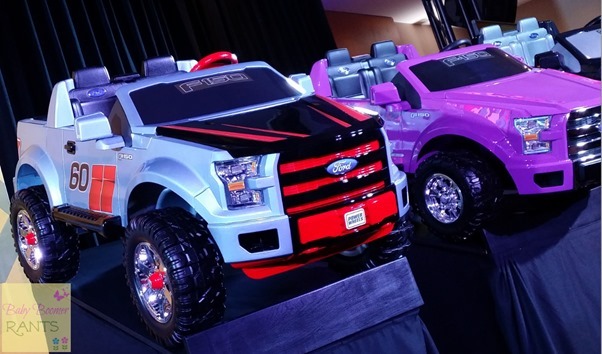 The new 2015 Fisher-Price F-150 Power Wheels! They are too fun! They will be available in September, but you can pre-order them now! They retail for $349.99. 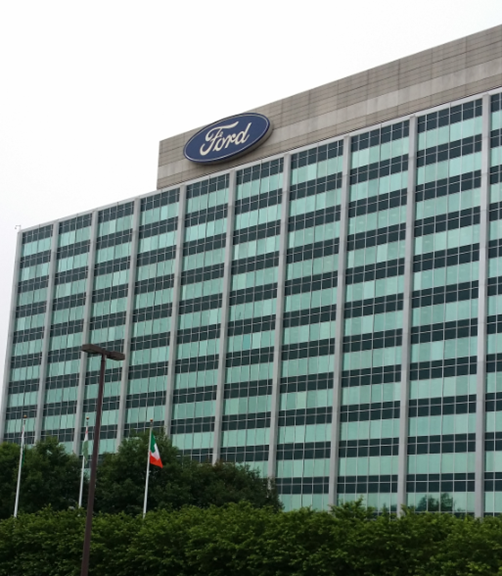 We headed off to the Ford World Headquarters for several sessions that were very informative after breakfast! I think my favorite session was where we learned the benefits of gaming. In my house my kids were always very into gaming, as are Hubby and I. I can tell you that 1 of my kids’ small motor skills improved rapidly when he got his first video game. We learned many stats about gaming, too – one that kind of surprised me was that 92% of 2 year olds play games such as on a tablet or cell phone. 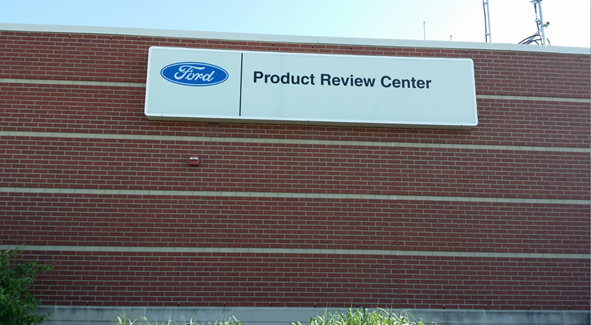 The next day we were off to the product review center where we got to test drive some vehicles – I always love that part! 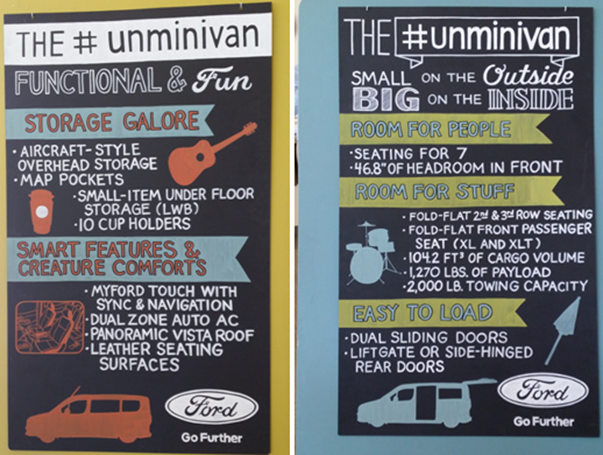 We got to drive the Ford Transit Connect, AKA the “Unminivan”. It handled very well and has a ton of overhead space. The roof is much higher and has storage space in the ceiling! We also got to ride in a vehicle driven by a robot! The robot was being controlled from 30 miles away! This is how they put the car through rigorous testing faster. The pot holes they design to run the cars over are very deep and they place them very close together so, it makes it hard on a human to be able to spend many hours test driving vehicles over such terrain. The next best thing? A robot being controlled 30 miles away! 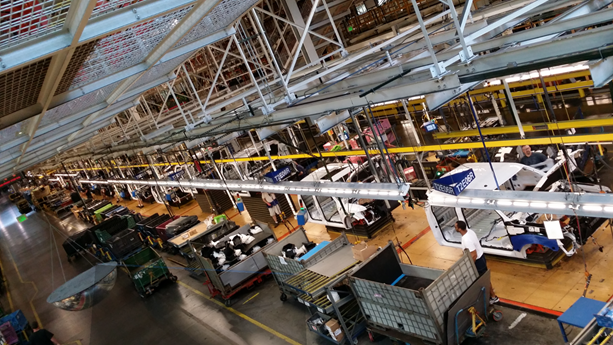 After our morning of test drives we were taken to the Ford Truck Plant where we got to see how they assemble them! We learned quite a bit about the F-150, too. 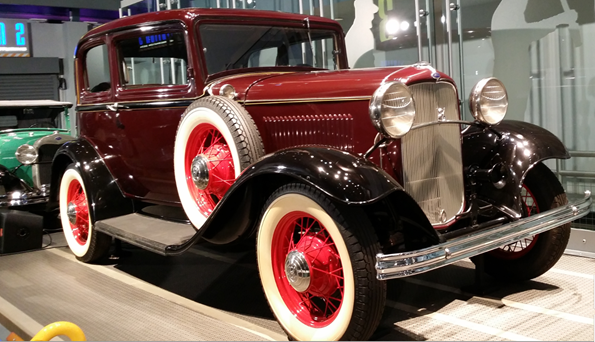 It is the most patented truck in history with more than 100 new patents. It has a motorized tailgate release and tailgate step. It has a 360-degree view with cameras everywhere, it even has a camera lens washer to keep it clean so you have a perfect view! Now, you don’t have to worry about backing into a parking space or how close you are to anything next to you! It is equipped with LED spotlights on the side view mirrors that you can use to help setup a campsite or finish a job after the sun goes down, that is a cool feature, if you ask me! 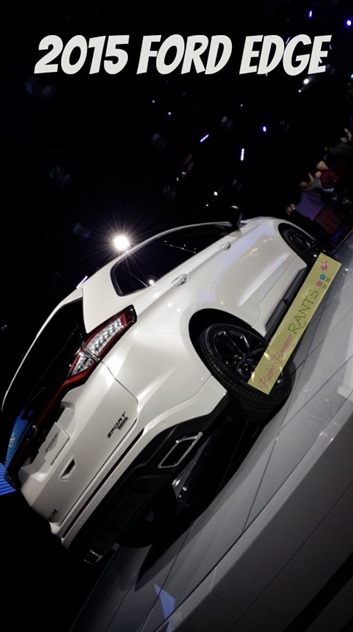 I had a fantastic time at the Ford Trends 2014 Convention and am so thankful I was able to attend and learn so much! Thanks, Ford!